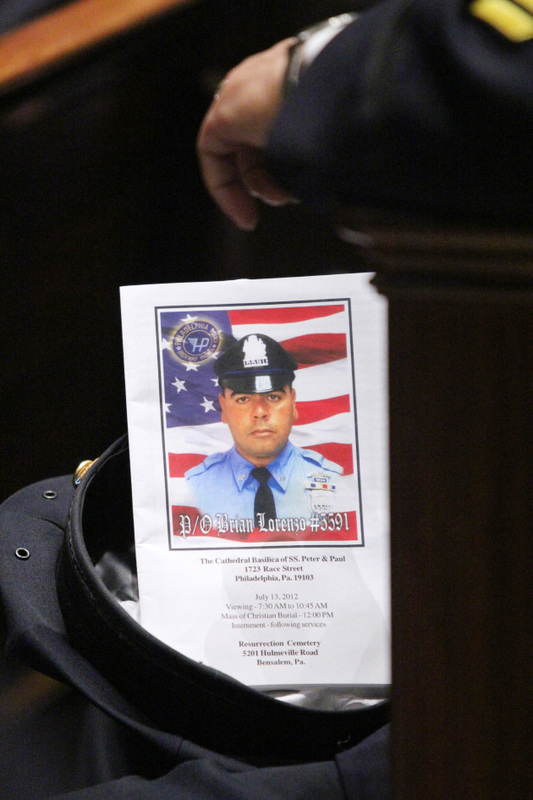 Officer Lorenzo’s family members cover his casket with a pall. 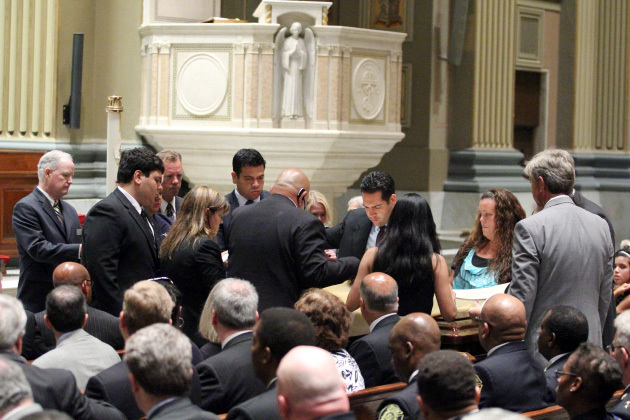 Brian J. Lorenzo II, officer Lorenzo’s son, comforts his mother Linda with his sister Marissa by his side. 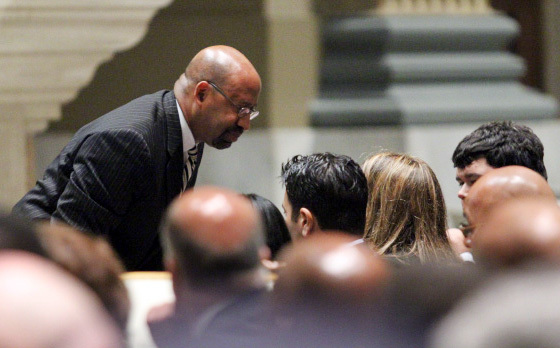 Mayor Michael Nutter offers his condolences to the family of Office Lorenzo after he shared words of remembrance. 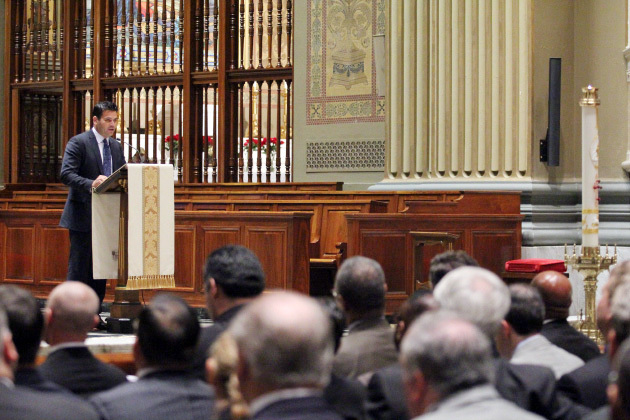 Officer Manny Lorenzo of the 25th Police District, Officer Lorenzo’s brother, share his memories which included how Brian was a father figure to him after their father died and inspired him to become a police officer. 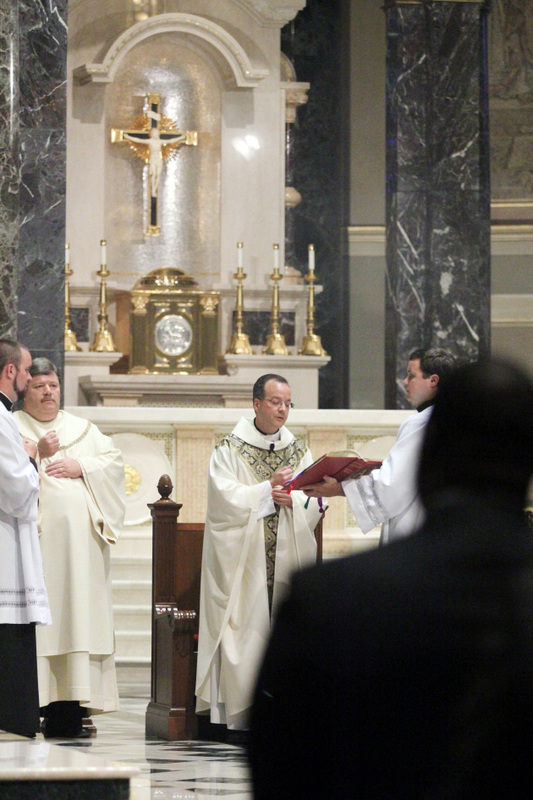 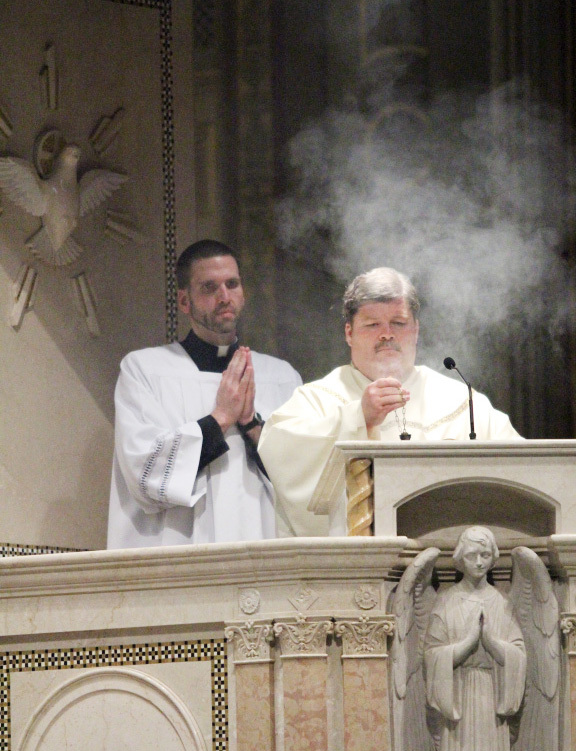 Reverend Robert L. Bazzoli, O.S.F.S., cousin of Brian’s wife Linda, was the main celebrant and homilist for the mass. 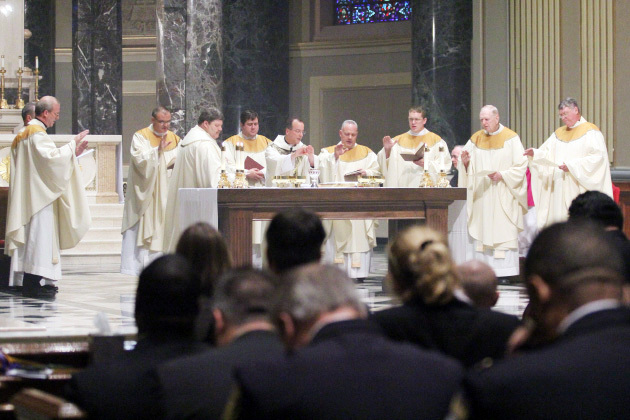 Deacon Joseph Cella, who is the chaplain for the Fraternal Order of Police and fellow police officer, was deacon of the word. 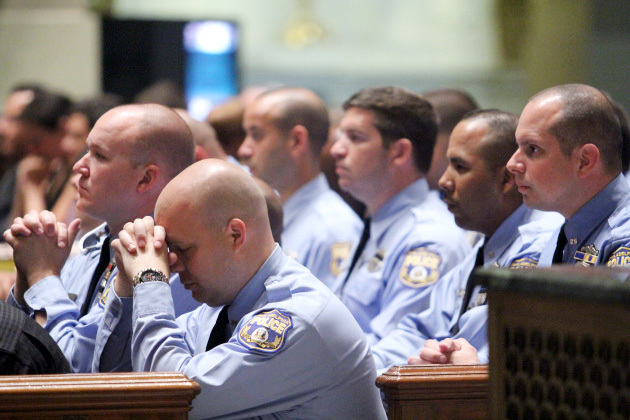 Officer Brian Lorenzo’s brothers in blue pray for him. 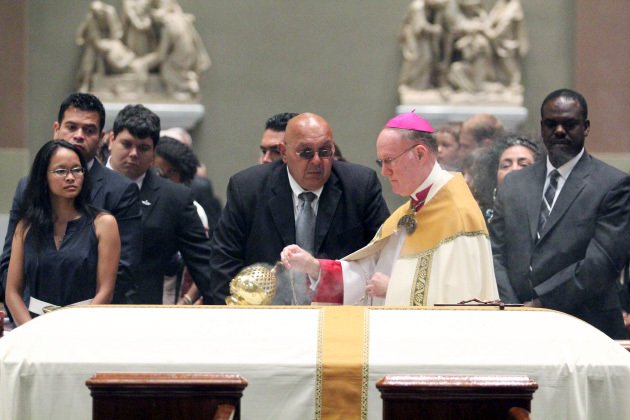 During the Rite of Commendation Bishop Michael Fitzgerald incenses the casket of Officer Lorenzo. 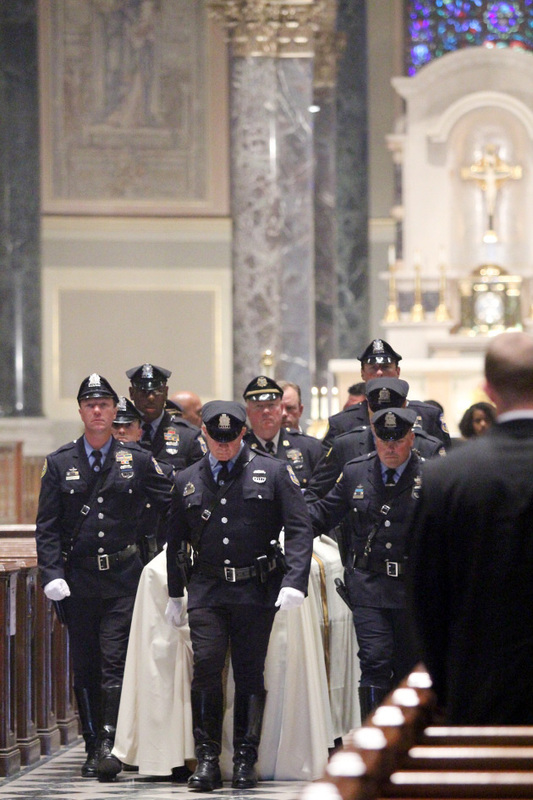 Fellow highway patrol officers serve as pall bearers as Officer Lorenzo is brought out of the Cathedral. 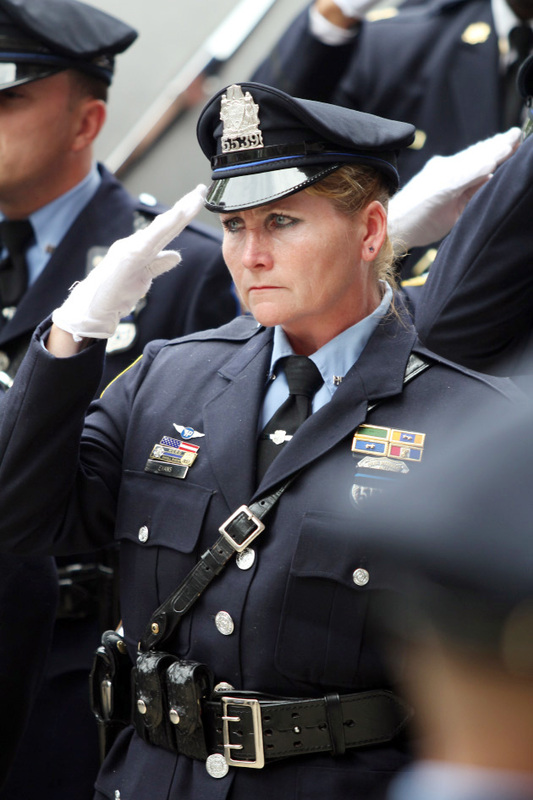 Fellow highway patrol officer Mary Ann Evans salutes as Officer Lorenzo is brought out of the cathedral. 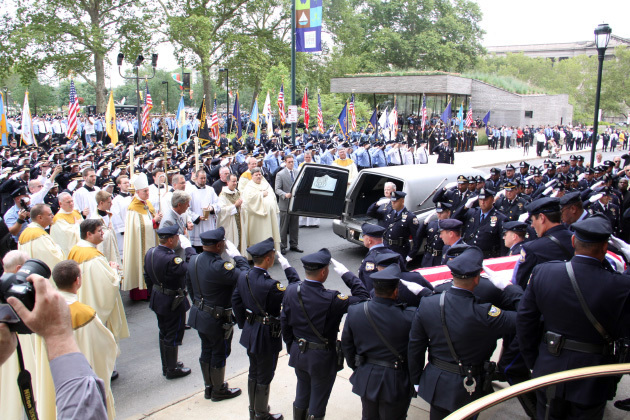 Several hundred fellow officers from the tri-state area came to salute there fallen brother. 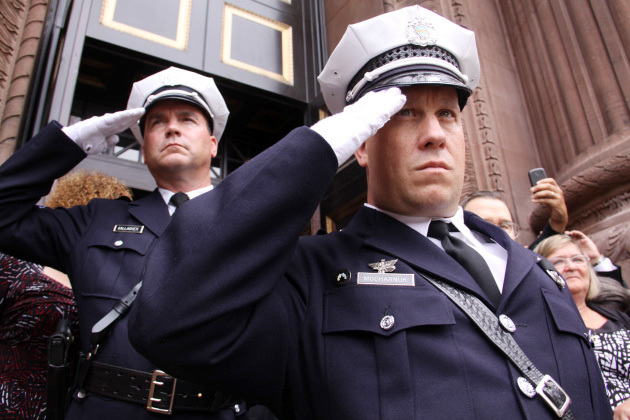 Officers from across the tri-state area salute their brother in blue as he is laid to rest on July 13, 2012. 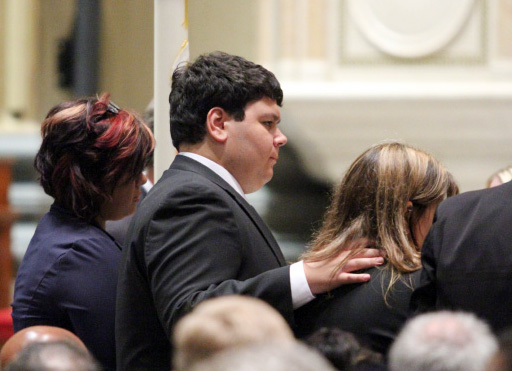 Linda, Brian’s wife, holds her son Dominic as her daughter Marissa and son Brian stand behind her on the front steps of the Cathedral as Officer Lorenzo is placed in hearse to be taken to Resurrection Cemetery to be laid to rest.